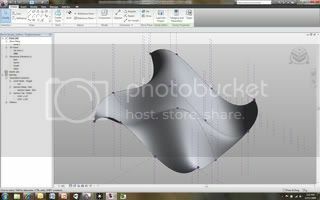 Revit and Calculus - Final... Complete! I created a nice power point and presentation. Of course, I recorded it for my readers to benefit from as well! I begin by explaining a little bit of Calculus (given that it was a calculus class) and then wen into all the formulas I used in Revit. I then deomonstrated using these formulas within Revit. The finale consisted of a comlpex surface being driven by calculus. Enjoy!